200 Lukie Points will be rewarded to you when you buy this. 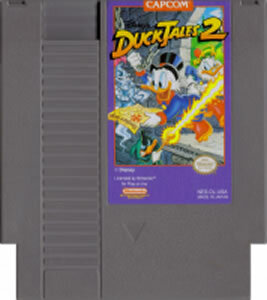 Duck Tales 2 original NES Nintendo Game cartridge only - Cleaned Tested and Guaranteed to Work! This is a great game. Great graphic, great music, great action. 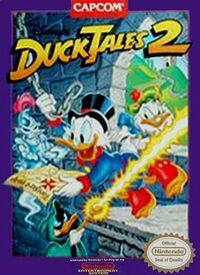 I think personally that Duck Tales 2 is better that Duck Tales 1. I can understand that with the price, people would probably not want to buy it, but even at that price (that's what I paid) it's worth it. This is the sequel to one of the best NES games ever. It has some advances like tighter control, More add-ons for Scrooge's cane. That being said, I do think the first games music is much more memorable. 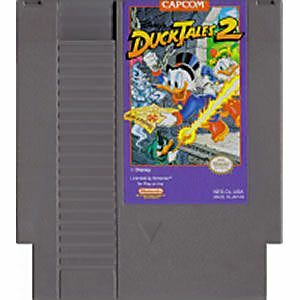 This is a good game but due to its rarity and the internet driving its price up I can only recommend this game to people that are huge Duck Tales fans or someone that must need it in their collection.